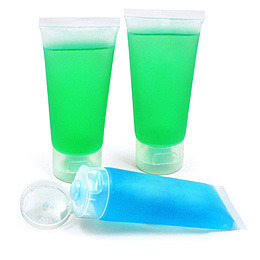 Soothing After Sun Aloe Vera Gel, makes the perfect summertime promotional gift. Refreshing blend that helps moisturise and soothe dry, sun exposed skin. Transparent 50ml tube, with flip top cap. Fragrances/Colours: green (aloe), blue (aloe).